When you need help with a wireless, networking, security or electrical project, Intelect offers a one-stop shop for all your needs, including engineering, implementation and maintenance. And even if you already have engineering expertise, we can still ensure your project is managed expertly with installation, testing, and other critical implementation services. With Intelect, implementation means doing whatever it takes to get your system up and running smoothly, on time and on budget. Intelect has 30 years of experience installing systems in each of our core competencies: telecom infrastructure, ITS, video surveillance and security, IT and electrical. We’ve handled tens of thousands of cameras, and other electronic devices for transit, ports, government agencies, and private industry. We’ve also delivered access control, public address systems, tunnel networks and overhead station lighting for dozens of customers. Intelect professionals have laid down thousands of miles of copper and fiber cable as well as installing antennas, traction power, UPS, revenue collection, two-way radio, WLAN, security, SCADA, and IT infrastructure. While project management can begin with the engineering or design phase of a job, there is also a critical need for these skills in the implementation stage of your project. Our in-house staff of project managers handles all the critical planning and oversees the installation, testing, Quality Assurance (QA) and more, including the work of our licensed electricians and certified technicians. A number of our project managers are also PMP certified. We’re your partner from start to finish. 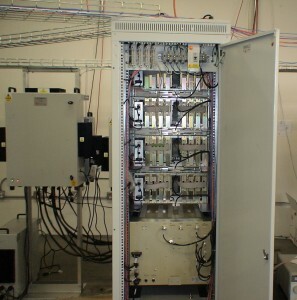 Regardless of whether you need assistance with a communications network, electrical system or other project, we test and monitor the performance of all its components. We use Intelect’s Quality Management System to ensure your work is handled with the highest quality standards. We work under rigorous safety procedures, to confirm your system complies with all building codes, state and local standards, and property regulations. As system installations have grown more complex and sophisticated, the need has grown for robust electrical/electronic components to be assembled as customized kits. These kits can include mounting plates, in either a rack/cabinet or enclosure, while electronic or mechanical components may be mounted with all the necessary hardware, wiring harnesses, plugs and socket connections. Working in conjunction with our expert design engineers, our skilled product managers and technicians handle custom cable assemblies, custom metal work, procurement, component assembly, and testing. This means we provide kits that are rugged, reliable and cost-effective – and most importantly, ensures that the installation work we perform for your project is done faster and more efficiently, saving you time and money. Contact us today at 410-327-0020 or by emailto learn more about our implementation services!